Yummy Magazine loves all Food Bloggers! Our readers love the magazine for its easy to do recipes with ingredients that does not require a trip all around town but simply a quick visit to your favorite supermarket will do, we would like to challenge all food bloggers to try a recipe found in the May issue of Yummy Magazine and get a chance to win a 6-month subscription to the magazine and a P2000 gift certificate from Mr. Jones! 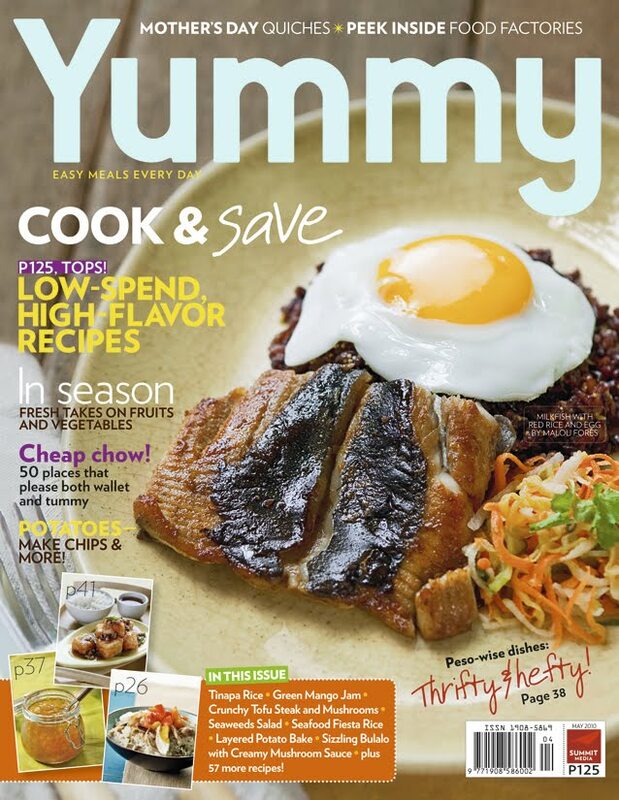 - Each blogger is invited to try any of the recipes featured in the Yummy May issue and blog about it. Please attach the cover photo at the end of their entry. - Kindly share what made you choose the recipe that you are blogging about and how the experience was. Photos are highly encouraged. - You may submit up to 3 entries each. - Once everything's set, email your entries (blog entry URL only) with the subject line My Yummy Adventure to fran.haw@summitmedia.com.ph or georgia.delosreyes@summitmedia.com.ph. - This contest runs from May 1 - 15, 2010! hi fran, i already emailed my entry for this contest.